Hoxton Hall is a Grade II* listed Victorian Music Hall nestled in the heart of East London and is the home of contemporary variety performance.The venue hosts a range of productions from new writing, live music, immersive experiences and the best in stand-up, whilst also building a reputation for developing some of the most exciting emerging London talent. 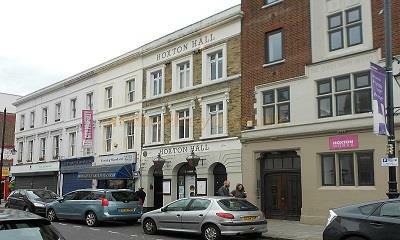 Hoxton Hall is not just a theatre, but a magnificent music and events venue, rehearsal and recording space, and a learning space for young people in Hackney. Since 1863, it has pioneered creative engagement and community partnerships throughout Shoreditch, earning Hoxton Hall its place as a key provider of an ongoing programme of diverse performance and youth arts activities in the local area.